Another series set in the Age of King Arthur, but this time, the next generation, and quite different from all the others. I loved it. The first book, The Firebrand, opens with Camlann (Camlaun), Arthur’s last great tragic battle, and not even with Camlann, but the aftermath of Camlann: Modred is dead, Arthur too has been carried away to die. Among the survivors is Arthur’s daughter, his only legitimate child, Lin (Helin). She should inherit Arthur’s mantle, for that had been Arthur’s wish, but she fails to claim it, using the excuse that there would be civil war if she did so in order to mask her lack of self-confidence. But this is simply the introduction. 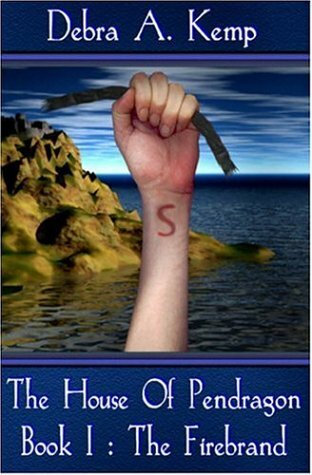 In fact, The Firebrand is the story of Lin’s childhood as a slave on the Island of Orkney. The only child of Arthur and Gwenhywfar, Lin had been sent north as a small child to be fostered by Queen Morgause of Orkney – normal practice in those days. What made this different was that Morgause treated Lin as a slave, and instead of Morgause and her sons being Lin’s foster-family, a slave-woman became the only mother Lin ever knew and her son Dafydd became Lin’s devoted foster-brother and fellow-sufferer at the hands of the sadistic Modred. Now her parents, Arthur and Gwenhwyfar, believe her dead. Only Morgause, Arthur’s half-sister, and her son Modred, Lin’s “owners”, know the truth. Even Lin herself does not know who she is. At the end of the book, Lin has been reinstated at Camelot by Arthur and is trying to come to terms with this sudden Cinderella-style change from being the lowest of the low to being the highest in the land, only child of the great King Arthur himself. In The Recruit, we follow her clashes with the snobbish and horrible Queen, her “mother” (that in itself is original – there is no sympathy at all in these books for “Gwenhywfar”), and her training as a warrior, up to the point where she becomes the first and only female Knight of the Round Table. Now, though, she has a father, Arthur, blaming himself for all that happened to her and as proud of his warrior daughter as Gwenhywfar is embarrassed by her. Many people of course share Gwenhywfar’s view that a woman’s place is in the home and a lady’s place in the boudoir doing embroidery and gossiping: not least the more unpleasant and arrogant men around. 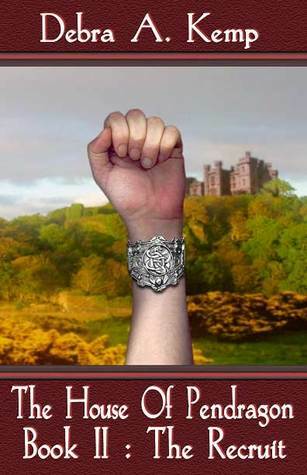 I’ve read a few books now about Arthur, Guinevere, Camelot, the Round Table, and life in 5th/6th-century (post-Roman) Britain generally, and I must say this series (The House of Pendragon) is not only by far the most original but also one of the best. Is there to be a third book, telling the story of Lin the Knight, Arthur’s heir, and her dealings with Modred as adults and equals, and the lead-up to that last tragic battle at Camlann? I CAME ACROSS A SHORT STORY by Debra that anyone who enjoys these books should definitely not miss! It is called A Passing Fair Lady, and you can find it here.